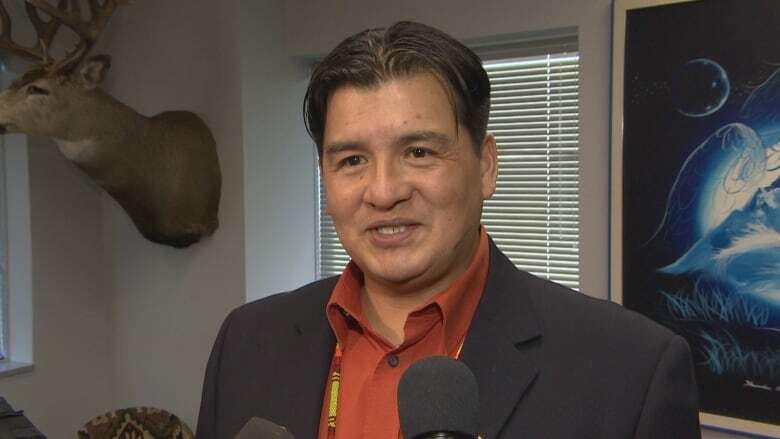 FSIN Chief Bobby Cameron says his organization fully supports the Muscowpetung Saulteaux Nation's cannabis act and promised more legal battles over treaty rights should the government of Saskatchewan choose to interfere in its operation. The Federation of Sovereign Indigenous Nations (FSIN) has voiced its support for a First Nation operating a pot store outside Saskatchewan's regulatory framework after the provincial government called for the shop to close. In a strongly worded statement, Chief Bobby Cameron expressed his support for Muscowpetung Saulteaux Nation's Cannabis/Hemp Act, which was introduced after membership voted 86 per cent in favour on Monday. "First Nations have the jurisdiction, sovereignty, and authority within their respective nations," Cameron said. "The provincial government has no business or jurisdiction on this matter and once again, Saskatchewan will face more legal battles if they choose to violate those inherent and treaty rights." On Tuesday, justice minister Don Morgan urged the community to not go ahead with opening the store. FSIN Vice Chief David Pratt said the organization will stand behind Muscowpetung's chief and council. He said harm reduction needs to be examined when it comes to treating chronic illnesses and opioid addictions while ensuring the treaty right to health is honoured.